And the fan favorites that are available now as a year round offering. Inspired by local American brewers crafting semi-traditional Belgian-style ales. This blend creates a complex flavor profile with a moderate level of sourness. It consists of a traditional farmhouse yeast strain and Brettanomyces. Great yeast for farmhouse ales, Saisons, and other Belgian-inspired beers. ETF- How much has the demand for White Labs sour strains and blends increased recently? Chris- Alot. I would say more than double, probably closer to a threefold increase if not more. It’s not only in the homebrewing side but we are seeing it growing more and more on the commercial side too. We are seeing breweries wanting to use something for their barrel projects and conditioning. We had a brewery contact us that just got 20 wine barrels to put some strains into. But it is up across the board, it’s what people want right now. 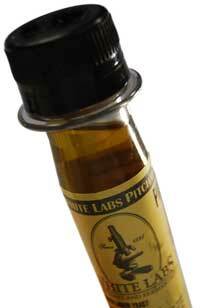 ETF- With the WLP670 / WLP630 full time now and the WLP665 / WLP644 coming out, is this the most funk ever in the White Labs lineup? ETF-In the new WLP644 Brett release does the word “Trois” (3) in the strain name give us some insight on a commercial example with this strain? Chris- Ha! We usually try to throw something in the name to give a clue…But it’s us having some fun with it. ETF-In the WLP665, can you give some insight on what might be the strongest microbe or what more forward microbes to expect in about a year? Chris- That’s a tough one, It has a great mix of the Brettanomyces, Pedio, and Lacto. We wanted to come out with something a little more Rodenbach like that will develop even more after that time. ETF-Any ideas or plans to have more sour/wild releases in 2013? Chris- We are going on a bigger acquisition quest this year for more strains. Definitely getting more active in collecting some different strains over the coming year. We also talked about helping out brewers who are new to sour and funky brewing. I told Chris I heard a lot of new to the funk brewers appreciated the good solid recipe (Tomme Arthur’s Saison Blanc) that was included in the White Labs newsletter when the WLP670 came out. Since getting into sour brewing can be intimidating to say the least, just having that recipe from a reputable source really helped some new brewers tear down that wall of uncertainty and jump right in…those brewers are now hooked. In short Chris said they would discuss it at White Labs tomorrow and look into having a recipe to coincide with the strain releases. 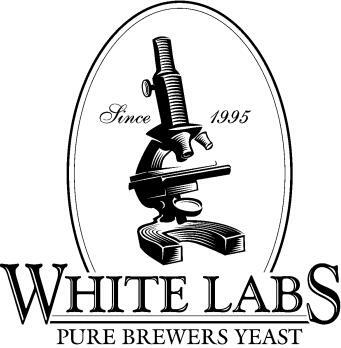 So if you have been thinking about brewing a sour beer, it sounds like White Labs is once again going to give you some great ground level support for your first batch! Not to mention their current Jan/Feb Platinum strain is WLP510 Bastogne Belgian Ale Yeast, which is the base yeast for Orval if you’re looking to make something in that vein. Really looking forward to putting the “Trois” through its paces, especially with the praise I’ve heard from the commercial brewers who have worked with the Drie. Used in beers like Ithaca Brute, Sanctification, Super Friend IPA etc. it is hard to argue. Yeah the Trois is the most exciting one for me too. Myself and a couple others were going to buy a 2bbl pitch from BSI later this month, but we will be waiting now. The Saison III also gives a wonderful sourness to beers. I had the opportunity to try that strain at last year’s NHC. Drew Beechum did a great saison presentation and he had that strain (which was not commercially available at that time). You can find the presentation below. I am so happy to see this strain released, oh and the Trois will definitely be incorporated into at least one of my beers this year. Thanks for the link to Drew’s presentation! Great info! Is there any danger in bringing these strains into the commercial brewery? Can they run wild and cause havoc? I’ve heard that great caution must be used in keeping these strains under control. You do need to exercise caution when using wild yeast and bacteria in a brew house. Most breweries I know of purchase a separate set of “soft” equipment (hoses, o-rings etc..) to use on their non Saccharomyces beers. Stainless and hard materials aren’t a concern since they are non porous. The “dark stone fruit” is nice, but I’m looking for WL bugs to emit some crazy organic barnyard funk. Havoc in a glass. But I can understand the whole market development evolution, so wait patiently.